Yes, I have got an exclusive repertoire of sassy wedding lehengas which fit right with the style statement and worth of beautiful bridesmaids in any wedding. Plus, these luxurious outfits are under your budget and can do wonders to your personality. 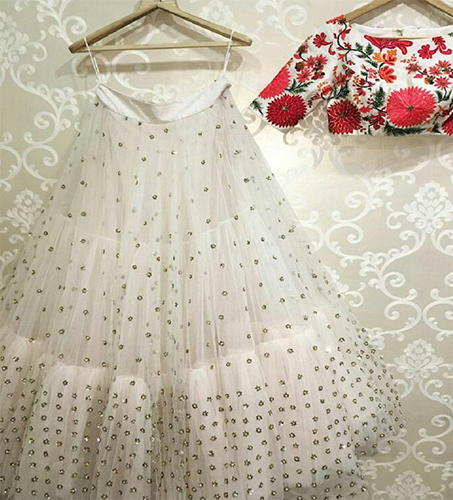 Contemporary style with floral crop top and white embellished skirt is what you need to flaunt your bold and breathtaking style. The staple is undoubtedly the perfect choice to be the most stunning bride of the wedding and call it a statement. Wear diamond or pearl jewellery set with this stylish wedding lehenga and flare your overall personality in the best possible way. The perfect red & white lehenga is for the perfect bridesmaid who wants to give her best shot on her bestie’s special day. The fabric is poly silk offering utmost comfort and easy manageability. Check out such luxurious wedding lehengas online and make the most of your fabulous personality in this season. Isn’t this lehenga so beautiful and perfect for this era??? 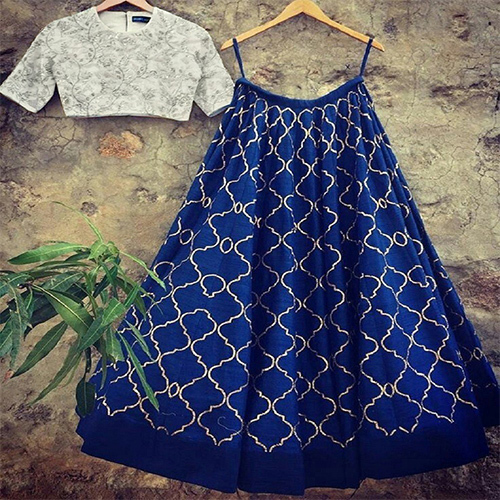 The embroidered blue skirt paired with white crop top is the best pick for fat Indian weddings and other grand ceremonies. Wear this lehenga with contemporary style jewellery and accessories to complement the outfit and exhibit the best version of your dazzling personality. Hurry up before your friend lays her hands on it. The ethereal combination of off-white and green colour is for those women who love ethnic fashion and crave to slip into that incredible feminine appeal. Are you the one??? The designer wear is crafted with intricate detailing and embroidery work at the bottom making it more alluring and captivating. If nothing impresses you, I am sure you will not be disappointed with this charming pink lehenga. The lavish golden embroidery and the perfect pink of the outfit make it irresistible for fashion lovers. Available in highly affordable price, buy this designer staple right away. How did you liked it? Share your views in the comments section. I loved all of them! 😍 Especially the punch of pink! Wow.. Loved all of them. 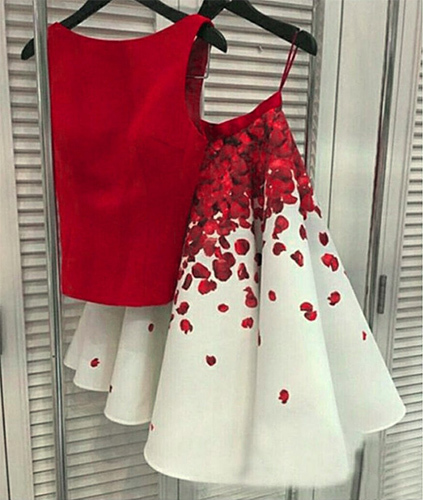 Especially the red and white one..
Every piece i very pretty. 😍 loved them all. I love the white lehenga with floral top the most heading to steal it from India RUsh. I love the blue lehenga. It looks super pretty. So lovely ,I am in love with them…also check out and follow my blog it’s all about fashion beauty and lifestyle..